Maison de 4 chambres pour familles et groupes de 10 personnes, située dans le centre, à pied partout. 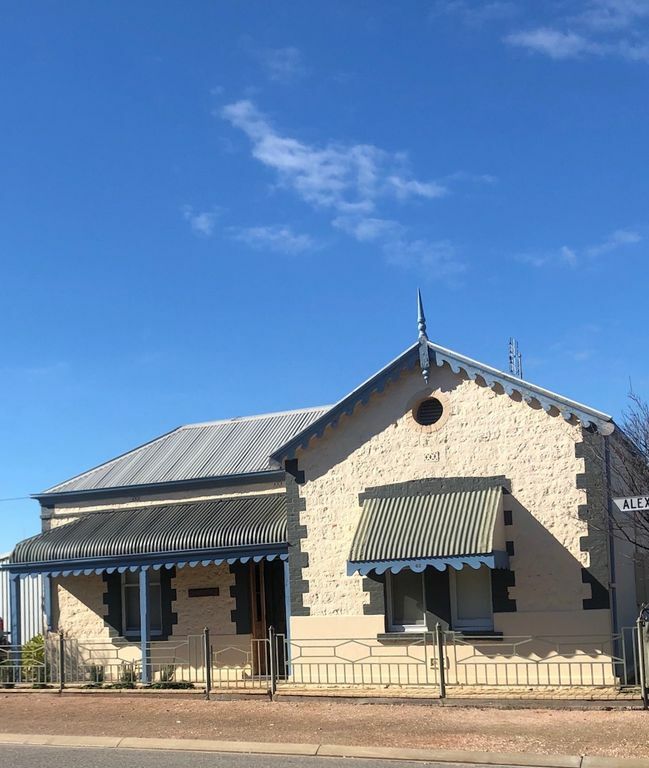 Situé dans le canton historique de Wallaroo, à seulement 160 km d'Adélaïde. Situé dans une rue calme et à distance de marche des principales attractions, y compris le Wallaroo Hotel, le célèbre Wallaroo Jetty et la nouvelle station de métro, Office Beach et les sentiers pédestres. Evening Waves existe depuis plus de 12 ans. Nous sommes l’un des locataires débutant à Wallaroo. Nous voulons que vous venez rester chez nous n'importe quel moment de l'année et profiter de la sérénité, du confort et de l'emplacement central que nous offrons. Very good. Only problem was bathroom was all in one. Only one door to enter spa bath, shower and toilet. Toilet had no door so was tricky at times, people wanting to use shower with and someone else wanting to go to the toilet at the same time. Thank you Sonja for your review. Just letting you know there was a door that led to the spa/bathroom but it somehow came off after a stay. I apologise if this caused you inconvenience during your stay. I take on board what my guest say and I will have my husband re visit the door and see if we can put it back in a manner that will not cause it to fall off again. I hope you enjoyed your stay in Wallaroo, it has become quite a lovely place to holiday. Thank you again for booking with Evening Waves. My family and I had a great time staying at evening waves, the house was lovely and clean and suitable our family with young children very well. The owners were great too we made a mistake with the booking and they made changes and even come down to the house to help us out which was great. Thanks had a great time and loved the place !! Thank you Bill glad you had a great time I was thinking about you as the weather changed on you, glad you made the most of it and was what you needed. We had a great weekend stay. The children enjoyed relaxing, playing card games or going for walks and the house was very comfortable and had everything we needed. Property was tired. The aircondioning wasn't adequate. We couldn't even use the front door as there was a problem with it. Yes,yes Cheryl, we know all this and as you saw we are renovating this year the house is over 100 years old and we call it character not tired, the air conditioner is fine if used correctly, I am not sure what is wrong with the door but thank you for bringing it to my attention I will have it looked at. I'm sorry that you would not stay there again as it is very centrally located and very quiet area and is what Wallaroo is all about, relaxing and unwinding. Keep an eye out for new pictures on stayz and hopefully you will change your mind. Thank you for staying at Evening Waves. Lovely outside area. Nice charm to the house. Very comfortable beds. Visitez toutes les attractions de la péninsule Yorke de Wallaroo, Moonta Bay et Port Hughes.